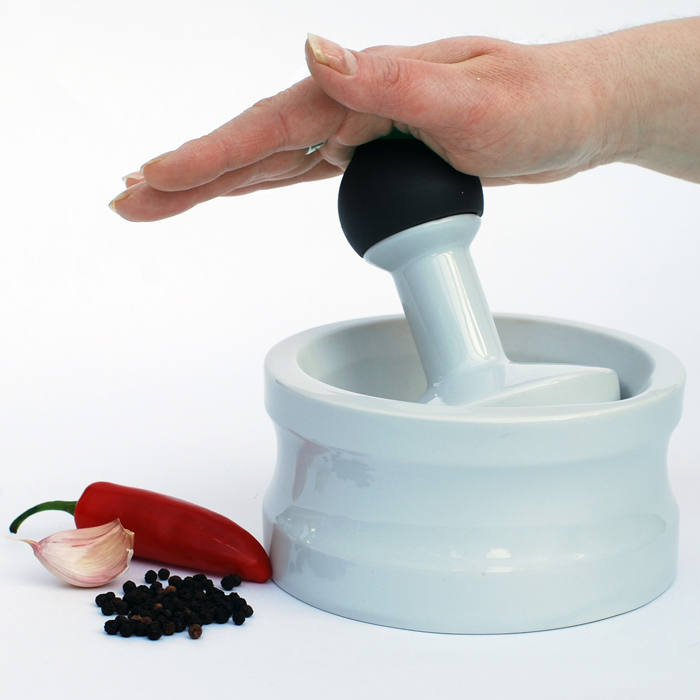 When it comes to crushing spices, herbs or even vitamins and pills, this porcelain mortar and pestle will save the day. Just toss some spices into the mortar and then let the uniquely designed pestle do the heavy grinding, while you do the light rotating. 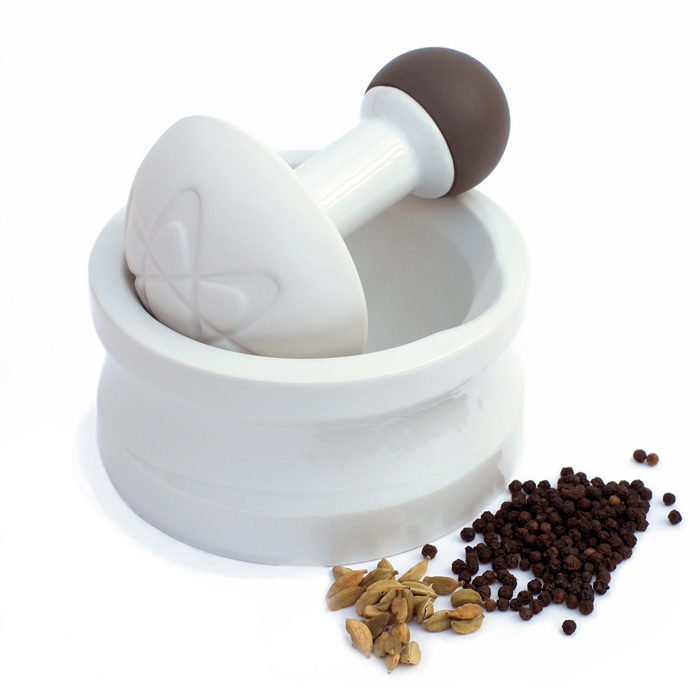 Grinding is so much faster and easier, and here’s why… the pestle is grooved with a ‘space age’ design of interlocking stars which capture the spices and peppercorns, rather than you chasing them around. 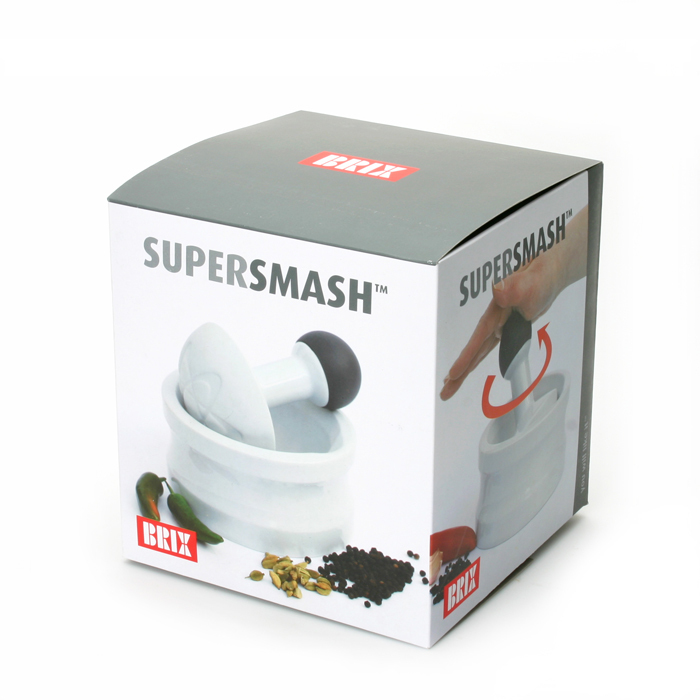 The pestle fits the mortar so snugly, you can just roll and rotate in the palm of your hand, instead of all that pounding and mashing!